Fresh and juicy tomatoes are an essential part of my everyday cooking and the sweet-tangy flavor of the fresh tomatoes are irresistible. Almost every day tomatoes are used in my cooking right from breakfast to dinner, it can be Indian or any other cuisine. 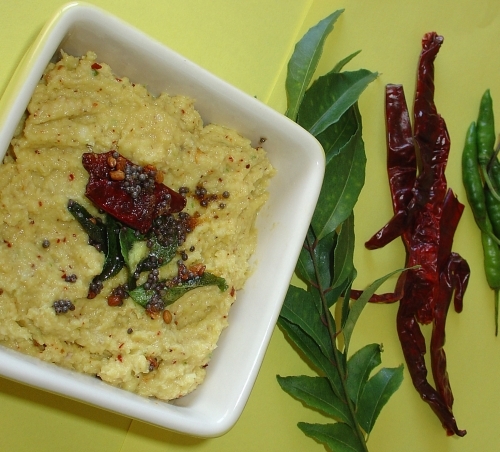 South Indians are very fond of chutney (pachadi) and no South Indian meal is completed without a chutney (pachadi). 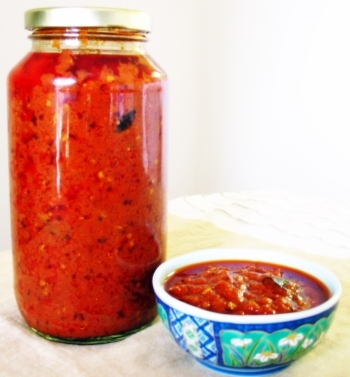 There are zillion different varieties tomato chutney from instant which needs refrigeration, to avakaya or ooragaya (pickle) where sun dried tomatoes are grinded along with spices and preserved with out refrigeration for year long or more. My mil always sends me pickled version while I make the instant ones here. Both my mom and mil have taught me different ways of doing instant chutney which can be served with South Indian breakfast (like dosa, idly and upma) even as a spread or a dip or as a side dish with rice and dal. This is my mom’s recipe, simple to make and you can still taste the tomatoes without overpowering the taste of spices and anything else. In a small pan dry roast mustard and methi seeds, cool them completely and grind into fine powder and keep aside. 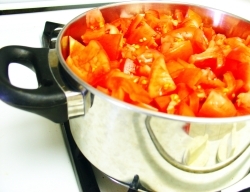 Clean and chop tomatoes, heat oil in a heavy bottomed deep skillet (pan/pot) on medium heat, add chopped tomatoes, tamarind and keep cooking, do not put the lid at this point. Keep stirring in the middle to avoid burning the bottom of the pot. After 25-30 minutes the tomatoes will start to bubble. 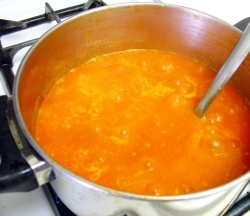 Reduce the heat to low-medium, partially cover the pot and simmer until the mixture cooks down to 1/3rd and looks thick (oil will start to float on the top of mixture, it takes 1-1 ½ hr to reach between sauce and jam consistency.) Now add salt and cook for 10 more minutes. Check the taste and add anything needed at this point. 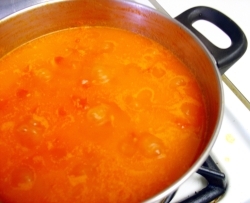 Turn off the heat and let the tomato mixture rest. My mom uses the oil from the cooked tomato mixture to fry the seasoning. You can do the same or you use extra oil (around 2 tbsp). Heat oil in a small pan/ skillet on medium heat, add garlic, mustard seeds and fry till garlic turns golden brown and mustard seeds pop. Now add hing and curry leaves and fry of a minute. Add red chilli powder, powdered methi & mustard seeds mixture, stir once and turn of the heat. Make sure not to burn the mixture (if brunt throw the mixture, clean the pan and fry again). Now mix the seasoning into the tomato mixture, cool down completely and shift into container. Keep refrigerator. Stays fresh for 2-3 months. You can enjoy this delicious chutney with all different kinds of dishes. You can use dried red chilli instead of chilli powder. But first you have to dry roast red chillies along with methi and mustard seeds and grind. I always grind extra powder and store it in the freezer. It always comes handy for me. You can skip the garlic if you don’t like and also can add lentils (urad dal, channa dal) for the seasoning. My FIL: Are any of your friends traveling to USA in the next month? My hubby: Yes, but why?? My FIL: For the obvious reasons. We started preparations for the pickles. Other than the usual, your grandmother is also preparing gongura and tomato chutneys. So we would like you to get them as soon as possible. My MIL: Do you want Menthi Mukkalu or any other instant pickles? This is the standard conversion that happens during April and May months. 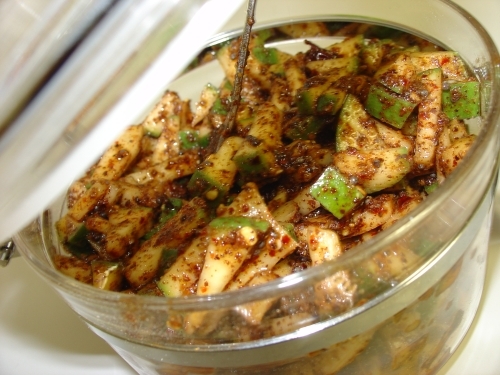 “Menthi mukkalu” is one of the instant green mango pickles from Andhra. Consider this instant pickle as a starting step to a wide variety of pickles that will come from India. Crunchy sour raw mango pieces are marinated over night with spicy chilli, methi and mustard mixture. 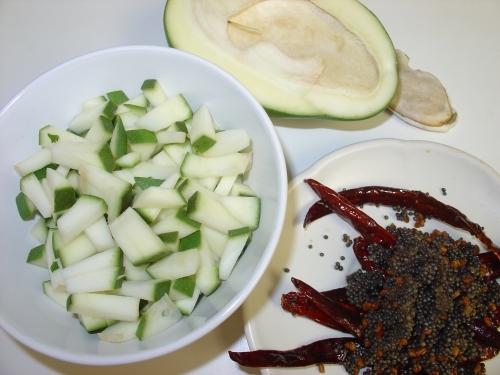 Wash, remove the seed/pit and cut the mangoes into small pieces along with the skin. With ½ tbsp of oil in a kadai, fry methi, mustard seeds, red chillies and hing till the mustard seeds splutter. Powder them when cool. Add this powder, salt and remaining oil to the raw mango pieces and mix well. Shift the mixture into a clean jar and marinate overnight or at least 10-12 hrs and serve. This pickle will last for 1-2 weeks in room temperature and 3-4 weeks in refridgerator. We usually eat with hot rice, mudda pappu and ghee . You can add jaggery to sweeten a little. You can also dry roast the seasoning instead of frying in oil. If you are dry roasting then heat oil separately and add hing and cool the hing oil completely and then add to the mango mixture. You can use chilli powder instead of whole red chillies. Beerakaya (Telugu) also know as Ridge gourd or turiya in India which is commonly known as Chinese Okra in other countries (popular in Asia & Africa), is an easy to grow vegetable .Botanical name for this spongy vegetable is “Luffa Acutangula” or Loofah. This awesome vegetable is low in Saturated Fat, and Cholesterol, high in Dietary Fiber, Vitamin C, Riboflavin, Zinc, Thiamin, Iron, Magnesium and Manganese. This versatile vegetable is mildly sweet in taste, which adds a new dimension to the vegetarian cuisine, but sometimes it does taste very bitter. So you might have to check the taste before cooking. 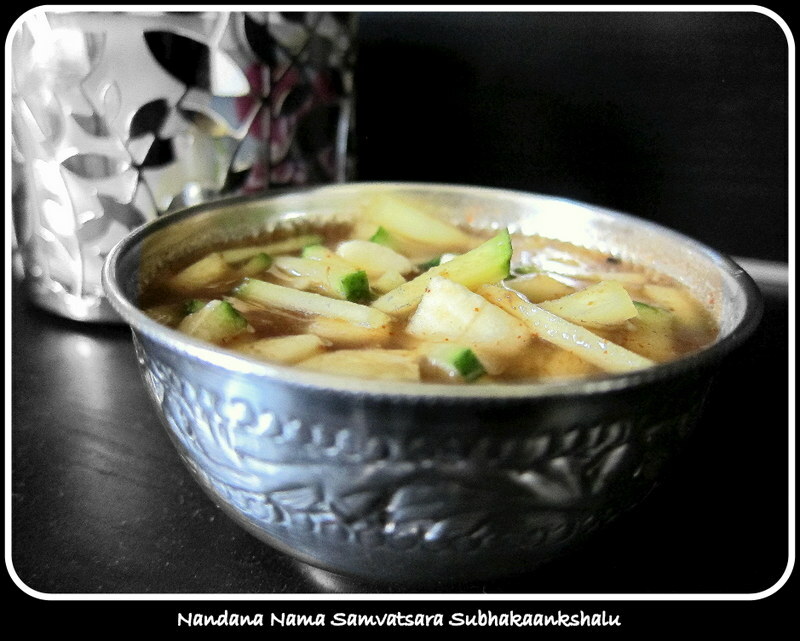 Beerakaya is used a lot in Andhra cooking. .Either can be cooked with dal or even made into chutney & curries. Most common dishes made with beerakaya are (beerakaya with senagapappu, tomato, potatoes, stuffed with home made curry powder, onion masala), pappu (cooked with lentils), pachadi (very famous and favorite at my place) and also podi with the peels. Heat ½ tsp oil in a small pan add urad dal, channa dal, dry chillies and fry till light golden brown, add mustard seeds, methi seeds and allow them to sputter. Add hing and turn of the heat. Keep stirring otherwise popu will burn. Heat the reaming oil in a pan on medium-low heat and add chopped beerakaya cook till soft, keep stirring in the middle turn of heat and cool. Grind popu, green chillies, tamarind, salt and cooked beerakaya (slightly chunky), adjust the seasoning, and add if anything needed at this point. Now add coriander leaves and pulse couple of times and shift the chutney into serving bowl. We usually eat with rice; I love it as a spread on my bread. It tastes delicious and also as dip. 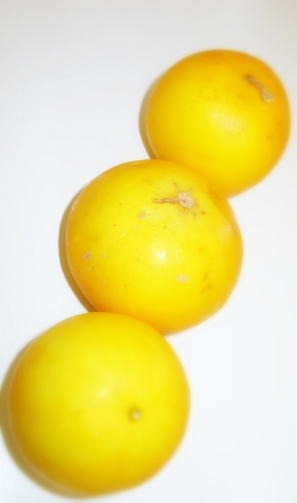 Ripened fruit will be good for making chutneys. Peel the ridges lightly and leave the skin for making chutney. In general beerakaya flesh is very tender and tastes delicious. You can even add fresh coconut. In traditional andhra cooking dosakai is used a lot. Dosakai pappu, Dosakai sambar, pachadi and avakaya are popular varities made at my place. Dosakai Avakaya is most popular dish and has a unique place in my cooking. 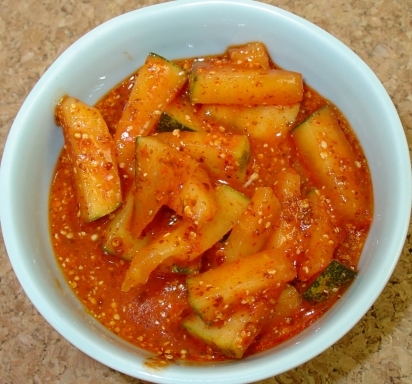 This pickle is very easy to prepare and can be served the next day. Its mixed with spices and needs to be marinated overnight. This crunchy pickle is often served with mudda pappu. 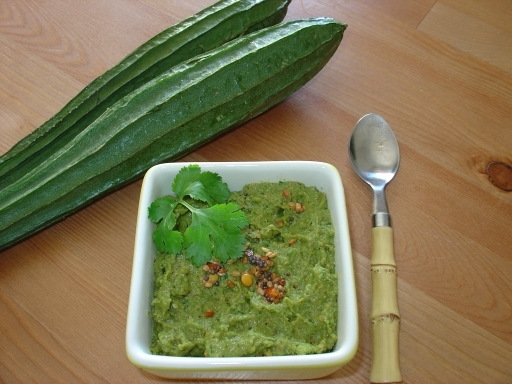 Only Indian cucumber (Nakka dosakai) will suite this recipe as its skin is thick and the flesh is crunchy. Other cucumbers would spoil fast as they have thinner skin and looses lots of water when pickled. Wash and cut dosakai and remove the seeds. Pat to dry and cut into bite size peices (1/4 inch). Grind all the dry ingredients (mustard seeds, chilli powder and salt). Take a dry container and put the chopped dosakai pieces. Add 3/4th of the spice mixture lime juice and oil and mix well. Now add 1/2 of the remaning mixture and mix well. Taste the pickle and adjust the seasoning as needed. Cover it and leave it in room temperature over night. The dosakai will start absorbing all the flavors from the spices. Refridgerate the container. You can serve this pickle the next day. This can be served with rice/idly, dosa and upma or your choice of meal. Keep refridgerate it will last for 6-8 weeks. On room temperature it last for 3-4 weeks.